The Microfiber flexible comfort Alliance pillow prefered by the 4* hotels to palace brings an envelopping softness that will make you feel asleep on a cloud. Designed for back or side sleepers the flexible synthetic Alliance pillow ensures a good night's rest. 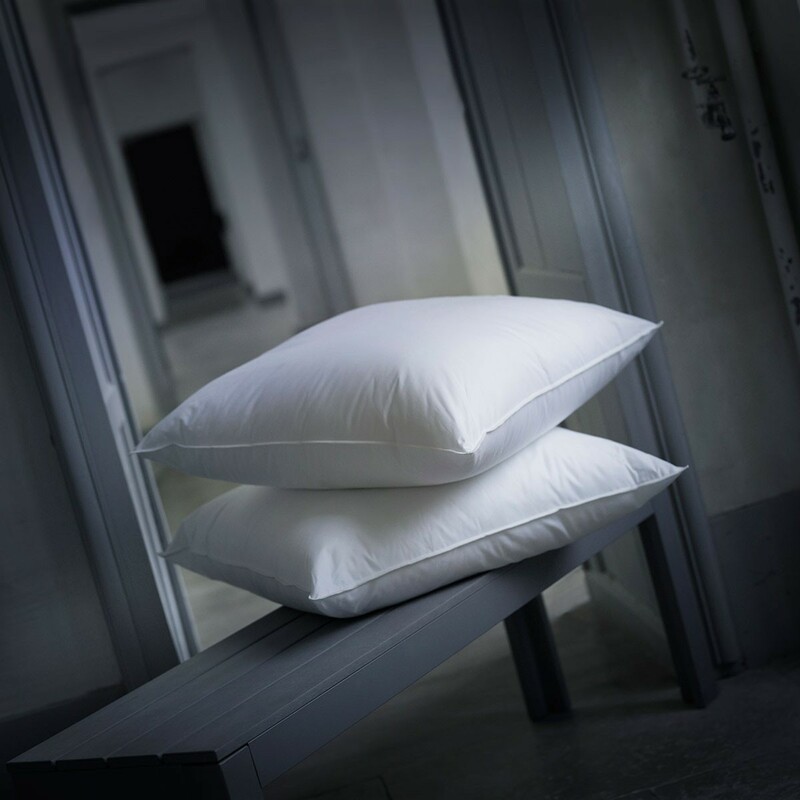 Soft and inviting, the Flexible synthetic Alliance Pillow provides the feeling of sleeping on a cloud. Filled with microfiber, it offers the same feeling of comfort as a natural pillow. Composition The envelope composed of down-proof satined cotton,140 threads/cm², combined with a microfibre filling ensures the look and feel of the softest natural down. The proprietary GSD® process, an anti-mite and anti-bacterial non-woven inner liner, is available as an option on the Alliance Pillow for maximum allergy protection. Packaging The Dumas canvas bag protecting the pillow can also be used for leisure, weekend getaways and short stays. 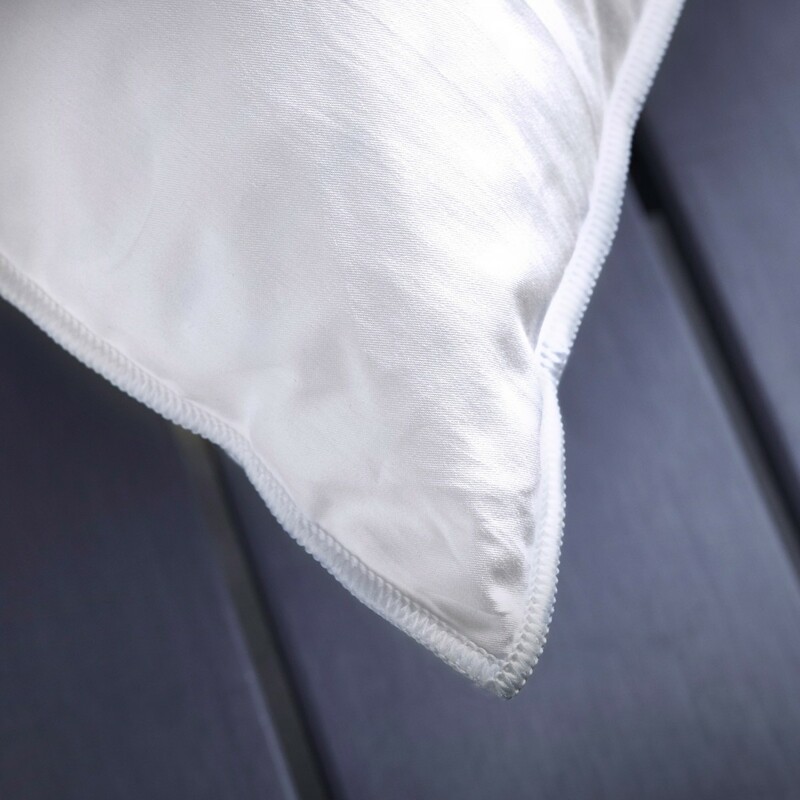 Tailor-made and embroidery The flexible synthetic microfiber pillow Alliance is proposed in the standard French sizes (50x70cm and 65x65cm) but can also be made-to-measure on request. Your initials can be embroidered. Alliance Synthetic Fluffy Pillow is labeled Haute Literie®, the only luxury brand of bedding recognized worldwide. It is in his workshops of Tonnerre in Burgundy that Dumas Paris creates its most beautiful pillows, fruit of a unique know-how. The manual finishing is next to the most innovative equipment, for impeccable and controlled products.